In a recent interview, former two division champion Marcos Maidana claimed that he was advised by the inner circle of Floyd Mayweather, that a payment of $2 million was issued, in connection to the first bout with Mayweather in May of 2014. Maidana says the payment was made to secure his agreement to change his brand of gloves for the bout – since the bout agreement never specified what brand he was be required to wear. However, Maidana claims that he only received $1.5 million – and that an additional $500,000 was never passed over to him. While never naming him directly, it was implied that former manager Sebastian Contursi was to blame. Contursi currently works with Maidana’s younger brother, Fabian. “My relationship with Marcos Maidana was always excellent. We have done many great things together and never had a yes or a no. In fact: I partially transcribe his words in an audio message via WhatsApp that Maidana sent me on September 27, 2018, which confirms what I say. After winning the trial against Mario Margossian (former promotor who falsified signatures and altered contracts), he sent me: ‘This is thanks to you, Pujol (lawyer who presented Contursi) and the decisions we made. If not, it was going to be cannon fodder,” Contursi said to Ole. “Maidana seems to have changed abruptly his position. And everyone knows that he has been manipulated for a long time by his cousin, Martin Gomez Maidana, alias Pileta, with whom I ended up in a very bad way due to attitudes that I can not specify now right now, because we are in a pre-legal process. 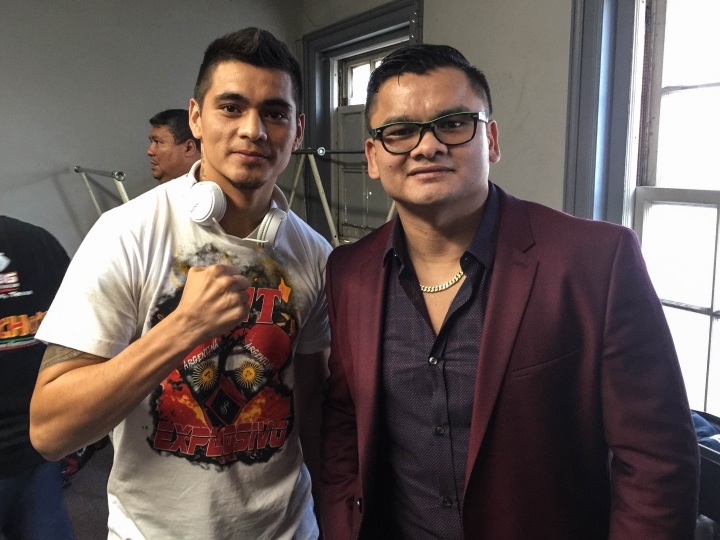 Maidana chose to unconditionally support his cousin. I suppose that must be the reason why Maidana is now going out and saying stupid things without the slightest bit of support, with the sole purpose of tarnishing my reputation.